Liverpool under-18s forward Bobby Duncan netted four goals and assisted two others as Barry Lewtas’ side beat Middlesbrough 6-5 on Saturday. Duncan, cousin of Reds legend Steven Gerrard, has looked a cut above the rest after joining Liverpool from Manchester City in the summer, scoring 16 goals so far this term. The young Reds took the lead within 5 minutes via Duncan’s strike, before Boro scored twice in the next ten minutes to take the lead. 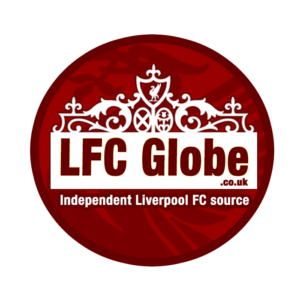 It was promising to be a topsy-turvy affair early on and Liverpool soon levelled after Duncan’s ball was met by midfielder Elijah Dixon-Bonner. Duncan soon scored his second to put the Reds 3-2 up but the home side levelled just before half-time to round off a six goal first-half. Middlesbrough then regained the lead just two minutes after the interval as Stephen Walker converted a penalty to score his hat-trick. However, minutes later Duncan was on target yet again as he also claimed a hat-trick for himself. The unpredictability of the tie continued as Boro once again scored to make it 5-4, however Duncan levelled the scores again with a 76th minute strike. Boro scored again before Duncan set up striker Paul Glatzel in the last minute at the Rockliffe Park ground. Following the victory, Lewtas told Liverpoolfc.com: “We got there in the end against a very good Middlesbrough side. We kept going and we did well to get the win. Bobby’s finishing was very good and he and Paul led the line really well. “They are a real handful and you always think if a chance falls to them then they will score. What we are not happy about – and to be fair the boys are not happy as well – is conceding five goals. “I told the boys we shouldn’t have to work that hard all of the time and have to score six to win it, but in saying that I don’t want to be disrespectful to Middlesbrough because they were really good today. “To be fair to our boys, they showed fantastic character. They don’t drop their heads and they keep going right to the end which is really positive. Keep an eye out on LFC Globe for highlights of the young Reds’ victory shortly. Liverpool U18s: Jaros, Walls, Boyes, R Williams, Savage, Clarkson, Dixon-Bonner (O’Rourke, 72), Sharif, Glatzel, Duncan (Bearne, 90), Longstaff.